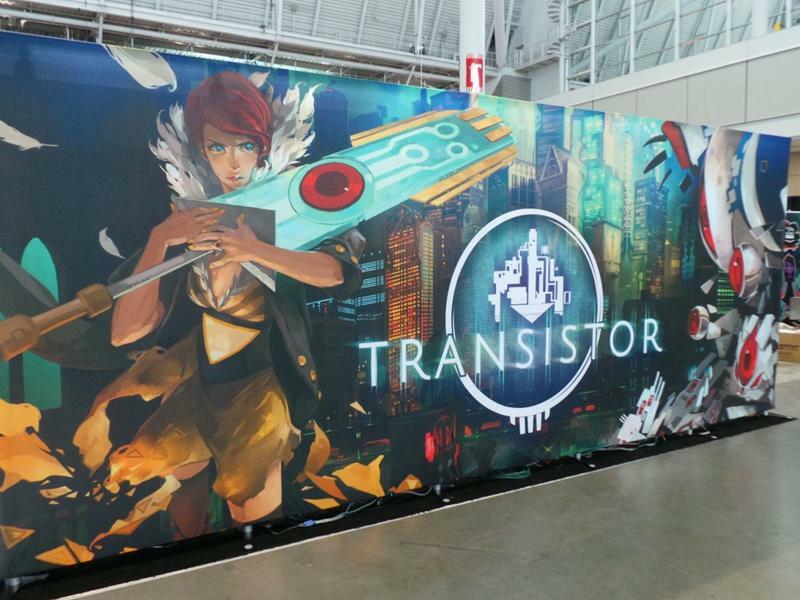 Transistor was just announced last week. This project from Supergiant Games currently has no release date (though they’re aiming for 2014) and has no announced platforms. 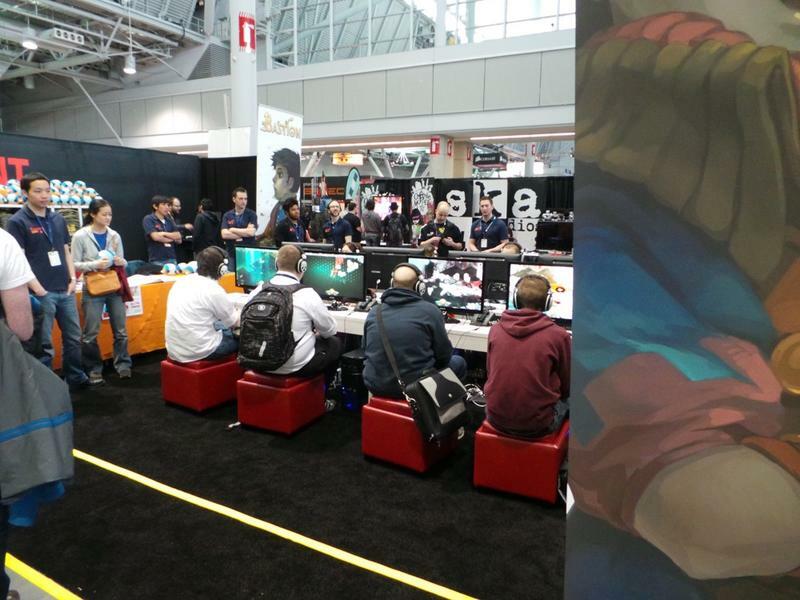 We had a chance to play it this weekend at PAX East. When I first fired up Bastion, the breakout hit for Supergiant Games that launched in 2011, I immediately thought two separate things: it was gorgeous and it felt inherently cool. Bastion was a unique game partially because it carried its own distinct style and flavor. Enemies all had this monstrous, cyberpunk and ruined look about them. Characters looked interesting, strong and, in a way, badass. The whole thing came together as very “Bastion“-esque, and the look stood up on its own right. The title went on to perform exceptionally well for Supergiant Games. It even managed to pick up a ton of gaming awards from around the industry. Transistor feels the same. That strength and coolness arrives for the main character known as “Red.” She picks up a transistor in the opening moments of the demo, and it serves as the narrator for this title, just like the voiceover for Bastion. The demo I played lasted roughly 12 minutes. And all 12 minutes felt like a unique extension of Bastion‘s universe. Where Transistor deviates massively when compared to Bastion is in terms of combat. You’ll encounter enemies, and you’ll be able to hit them with basic button-mapped attacks just as you would in a normal beat ’em up. However, things get a little more hairy in Transistor, and that requires you to fire up a more tactical approach. Pressing the right trigger pauses the action and brings up a wide circle where Red can move amongst her enemies. From there, you’ll slide up against your foes and pick witch attacks you want to pull off. Press the left trigger and your moves are carried out. You’ll run for cover and wait for that effect to charge back up. The resulting effect is one that feels a lot more strategic than the combat that was offered up in Bastion; not that I’m knocking the combat from that game, I should mention. Transistor just manages to feel like a completely different effort when it comes to fighting, and that’s something that makes it really special. What little I gleaned from the story in this just-over-10-minute session was interesting. There’s some sort of evil force penetrating this cyberpunk world, and it’s up to Red, a former celebrity and diva, to put a stop to it. It sounds simple enough, but it feels like it’s got a lot more going for it. Much like Bastion, the opening minutes seem to promise a more winding and involved story than what’s made immediately apparent. If that’s the case, then Transistor looks like it might fire on all cylinders. We’ll be covering this one closely between now and launch, so stick with us for more.